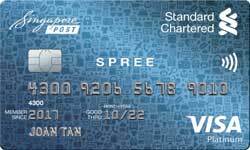 Credit Cards in Singapore are issued by financial institutions and are usually MasterCard, Visa, American Express, JCB, UnionPay or Diners Club Cards. MasterCards and Visa Cards are the most commonly accepted credit cards and will offer the greatest ease in payment at most merchants. 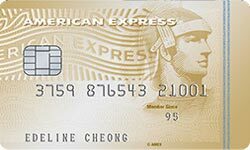 American Express Cards have excellent tie-ups with many luxury brands and can potentially offer many discounts and rewards at these merchants. JCB, UnionPay and Diner Club Cards are the least widely accepted but they usually offer discounts and rewards at specialty merchants. Most credit cards in Singapore require a minimum of $30,000 income per annum to be eligible. American Express Credit Cards, Visa Signature and Visa Infinite Credit Cards belong to the higher end and could require annual income of as high as $150,000 per annum. Naturally, they also come with greater benefits for the consumer. These higher end credit cards have high annual fees that cannot be waived easily while most other credit cards come with waived annual fees. Sometimes, annual fees waiver can also be obtained through requests. The best credit card for you depends on your spending pattern. It is advisable to gather your spending on one credit card to yield the most benefits and have other credit cards on backup to provide benefits for specific purchases. The questions below will help you pick the best credit card for you. 1. Are you a student or working adult that is looking for only $500 credit limit a month so as to control your spending? If yes, you should look through our Credit Cards for Student section. 2. Are you looking for credit cards that offer discounts for petrol? If yes, you should look at our review for the Best Credit Card for Petrol. 3. Are you keen on credit cards that offer discounts and rebates for online shopping? If yes, you should look at our review for the Best Credit Card for Online Shopping. 4. Are you checking out credit cards for cash rebates for dining? If yes, you should look at our review for the Best Credit Card with Dining Promotions. 5. Are you interested in credit cards that offer specific discounts and rebates for specific shopping centres, departmental stores, supermarkets, telecommunication bills, MRT transport or electronics? If yes, you should look through our Credit Card Rebate section. 5. Are you looking for credit cards that offer substantial reward points which can be used for all kind of redemptions? If yes, you should look through our Credit Card Rewards section. 6. 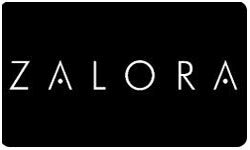 Are you looking to chalk up air miles so you can redeem for free air tickets to destinations of your choice? If yes, you should look at our review for the Best Credit Card for Air Miles. 7. 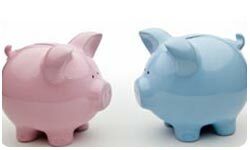 Are you most concerned with offsetting your credit card bill with cash back or cash rebates? If yes, you should look at our review for the Best Credit Card for Cash Back. 8. 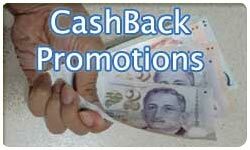 Are you simply just checking out credit card promotions so as to get the free gift or cash credits for signing up? If yes, you should look through our Credit Card Promotion section. Still unable to decide which credit card suits you the best? Feel free to use our Lobangs Smart Search which will narrow your choices down to 3 credit cards that are most suitable for you according to your income, spending pattern and preferred rewards.